This biography of the Shadow Chancellor and Jeremy Corbyn’s closest ally, John McDonnell, will examine for the first time one of the most powerful men on the left. Based on interviews with friends and political foes alike, Friedman charts the life of a politician whose life has been as colourful as it is controversial. It details his partnership with Corbyn - fostered over a period of more than 20 years – and which is now perhaps the most powerful in Westminster, and examines McDonnell’s rise from the shop floor to Parliament. From his time on the GLC and fighting libel actions in the 80s, through the wilderness years of New Labour, and to the present day, this book will give a hitherto unseen insight into a man who’s at the heart of the Labour Party today. Bobby Friedman was educated at Emmanuel College, Cambridge where he gained a 1st and was President of the Union. He has worked as a journalist for the BBC for a number of years, appearing on TV and radio, most notably as a presenter/investigative reporter for the current affairs programme “Spotlight” on BBC1 NI. He has also worked as a producer, both for BBC Live Political Programmes and BBC Newsnight, where he was part of the team shortlisted for a Royal Television Society Award for an investigation into the cost of translation services. Biteback have bought rights in Bobby Friedman’s life of Labour Shadow Chancellor John McDonnell McDonnell: Corbyn’s left-hand man for publication this autumn. 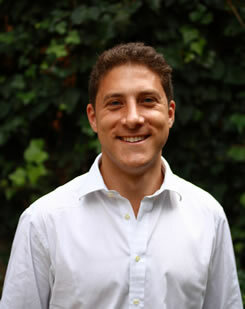 BBC journalist and lawyer Friedman’s previous books include a biography of Speaker John Bercow and study of party political funding.